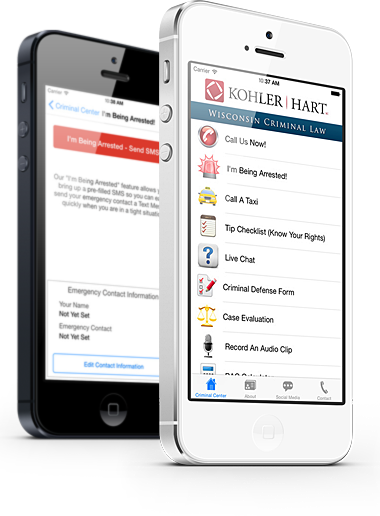 The Kohler Hart Law Firm is based out of Milwaukee, Wisconsin and specialize in criminal defense. Our criminal defense apps help their clients by providing them with utilities such as a BAC Calculator, quick access to call a Taxi or they can easily seek out legal representation by filling out the Criminal Defense form. * The BAC Calculator is for estimation purposes only. The BAC estimates should not be used to infer anyone’s ability to operate a motor vehicle.